Two kinds of calls for projects are regularly opened to Swiss creatives working in games and other interactive media. The selection for the main SwissGames delegations to GDC, Gamescom, Game Connection – Europe or Nordic Game Conference are processed through open calls for participations. 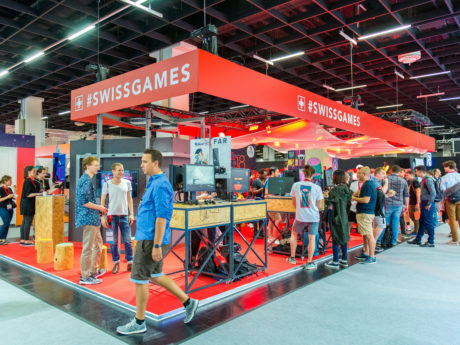 We periodically invite Swiss game developers to submit a dossier presenting their current project as well as their plans and expectations for the respective events. Twice a year, Pro Helvetia opens a call to support the development, production and marketing of quality projects in games, VR, AR or any other interactive formats. Applicants must provide a playable prototype as well as a dossier describing their plans. The applications are then assessed by a jury of Swiss and International experts.